Who wouldn’t want the chance to win a bit of extra cash this month? Or any month for that matter! 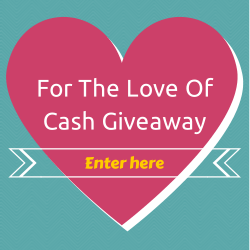 I’ve joined with some other bloggers to bring you this $500 cash giveaway! The giveaway was coordinated by the Giveaway Promote blog and they will be the ones sending out the prize after the winner was chosen? Hey Buddy!, I found this information for you: "0 Cash Giveaway". Here is the website link: https://www.beautythroughimperfection.com/500-cash-giveaway/. Thank you.